Olympus has a lot going for it in the world of Micro Four Thirds. It makes some killer lenses. Its image stabilization tech is the best in the business. The sensors, if not quite up to where larger sensors are playing in terms of image quality and low light performance, are pretty close. Weather sealing is amongst the industry leaders. Seriously, how many times do you see people willingly dumping entire bottles of water on their camera or cleaning it off with a garden hose? Tony Northrup even froze his test unit. Every model from the PEN-F to the OM-D models are easy on the eyes and all feel solid in the hand while also being light and small. With the E-M1X, you can strike those last two points though. Whatever the opposite of light and small is, this is that. Yes, it’s lighter and smaller than the Canon and Nikon professional equivalents, but is that what Micro Four Thirds users wanted? Not really. Hear me out. I currently own six different Micro Four Thirds bodies. My main walkaround camera these days is an Olympus OM-D E-M10 Mark II and a gaggle of Olympus lenses. I love my OM-D, but I also keep my expectations in check. I’m not expecting world-beating performance, but I appreciate having a small and light camera with serious controls and a decent viewfinder. In my own self-interest, I come from the viewpoint of wanting Micro Four Thirds to be around for a very, very long time. The Olympus E-M10 Mark II is the perfect example of a Micro Four Thirds camera that makes sense. And that’s where the OM-D E-M1X defies logic. For a price tag that gets me more than halfway to an equivalent model from the established brands (or even upstarts like the Sony Alpha a9), what are you really getting for your money? I've also owned two 1D series cameras. They're heavy, and the form factor is anything but comfortable. They're not reasonable cameras to carry without making a good case for themselves. But that's exactly what they do. Anything competing in that range needs to have the latest and greatest tech to justify the size and price; It need to be a world-beater of a camera. As far as the spec sheet goes, much of what's in the E-M1X looks like it's been recycled from other models down the line, with a sizable chunk of the camera's guts coming from the E-M1 Mark II. With the E-M1X sporting a familiar 20-megapixel sensor in the Micro Four Thirds format, you’re not getting a huge bump in image quality from anything else in the Olympus ILC lineup. Jared Polin of "Fro Knows Photo" fame had some seat time behind the camera and describes the inherent limitations of the image quality with this particular sensor. Controls and menus are still a bit funky. Accessing focusing modes has always been particularly cumbersome for Olympus models and with the inability to choose which face you want in focus, a feature that should be basic, it looks like the clunkiness continues. Weather sealing is something already offered on the E-M5 Mark II and E-M1 Mark II. You gain an integrated grip, but that’s something you can also add to existing models. One could argue that the magic is in new A.I.-driven features of the camera, such as its “Deep Learning Autofocus” technology, which trains the A.I. algorithm to find, the marketing claims, “subjects like a speeding formula car or rally car, motocross racer and flying aircraft,” except that out of the box, these are two of the only three things the system is optimized for, that is planes, trains and cars. And the “deep learning” doesn't happen as the camera learns what you shoot - the algorithms are already trained from the factory. Initial impressions of the E-M1X’s autofocus show that, while not disappointing, it doesn’t quite knock it out of the park either. There’s the high-res mode that produces 50-megapixel images by slightly shifting the sensor to get all those pictures, but like previous iterations of the technology, this mode is still not for anything that contains a significant amount of movement. A Canon EOS 5DS or a Nikon D850 can do that without the technical limitations. The simulated ND filter is a neat party trick, but it’s not that hard to carry a couple of ND filters in the bag. Would the R&D spent in making this have better been used to design a sensor or autofocus system that could be spread across the lineup? Maybe a new video-focused model? While sensor-shift capabilities are nice, it's not hard to stitch together multiple images in Photoshop to also achieve higher resolution. So without a significant spec bump in any one particular area, who is this camera for? Without a significant step up in autofocus or low-light image quality, sports shooters on the sidelines will look the part with a gripped body, but they won’t be able to keep up with the already established pro bodies. Those who turned to Micro Four Thirds for the size reduction will probably spring for the almost half-cost E-M1 Mark II if they want a pro-capable body. 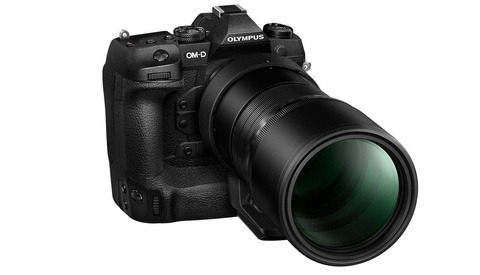 Olympus is competing with itself. Then there’s the price tag. 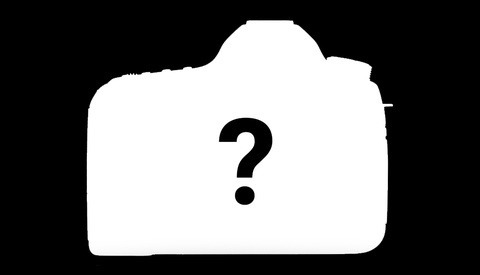 At $3,000, competition is going to be fierce, especially against cheaper and equally capable models with larger sensors, such as the APS-C Fuji X-T3 or the full-frame Sony Alpha a7 III, both of which will have better low-light performance. With Panasonic signaling a move towards full frame, Olympus really has to make all of its moves count if Micro Four Thirds has a future. It’s a great format, but one that perhaps needs to play to its strengths: A small and light capable system that beats the giants on size and price. What do you think of the E-M1X? Would a lower price or something else make a more compelling case for the camera? Is it compelling enough as is? Sound off in the comments below. 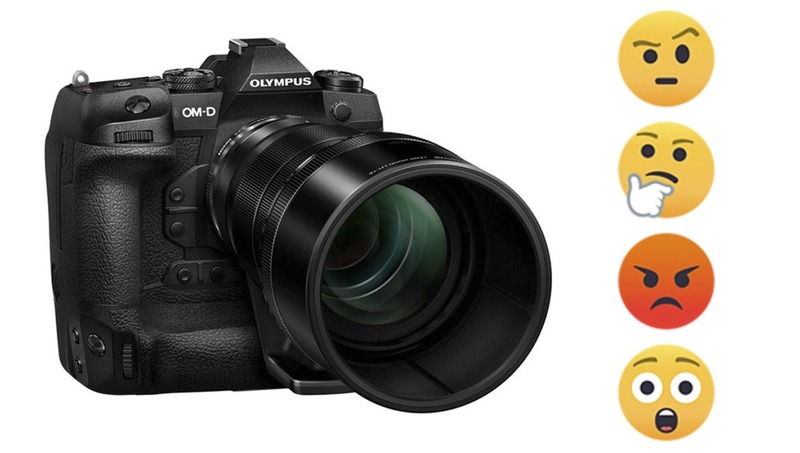 Olympus has confirmed that it is the exact same sensor. Same evf, save AF system (new algorithms), same speed, blah blah blah. It's a recycled EM1ii that's heavier and bulkier. Bummer. I think the market will answer the question. For people who are already heavily invested in m43 and have several of the best lenses money can buy for the format, buying a E-M1X will naturally be a great choice for the small nich of people who want the m43 sports camera equivalent of a D5 or 1DX. It's actually a good way to save money (not buying a new full frame camera and lenses for it) and makes sense as long as they get the results they're looking for. Ironically, where it may make more sense still is buying an E-M1X over a D5 or 1DX, getting a 0.71x speedbooster, and buying some Canon EF mount lenses for it. You'll easily save $2k+, you'll only lose 1 equivalent f-stop over shooting with the lenses on full frame (which is still an improvement over pretty much all m43 lenses), and you'll have the added benefit of utilizing IBIS for the EF mount lenses that lack IS. The only real downside is you won't have native AF, but if you can get the results you're looking for, then that's all that matters. Just now embarking on the m43 train, getting a Panasonic GX9 next week. Love the form factor, plus I don't think the need for a small, super portable body will go away any time soon. Mobile phones are not there yet (I have a Huawei P20 Pro and it leaves a lot to be desired) and APS-C cameras with IBIS either need additional bulk to accommodate stabilization (e.g. Fujifilm X-H1) or are not quite up to m43 IBIS standards yet (e.g. Sony A6500, at least according to the reviews & user reports I've read). Your article is a tedious way of saying, "I'm smarter than all the dopes who are running Olympus", or, "I can't afford this camera". Probably both. I'm sure the people at Kodak thought they were pretty smart, too. Well, since you're so smart, why aren't you the CEO of any of these camera companies? Why at least didn't Kodak snap you up? Or the buggy whip companies? What great worldwide enterprise are you leading? Where's your camera? Maybe we'll take a poke at it. Let's be frank. It costs nothing and no effort to criticize a perfectly good camera. Anyone can write this sort of broadside. But it takes an enormous amount of effort, expense, and determination to make a great camera. Olympus did that whether you like it or not. People can not work for large companies and still be correct. Also, I'm writing a dissertation on computational imaging, so there's that. Every person in this world can say they are correct in their observations, but does merely asserting make it so? Afraid not. And writing a dissertation is nice for you and your career, but it amounts to zilch, zero, nothing in this conversation. So let's try a new tack. For you, it's too big. For you, it's too clunky. For you, it's too heavy. For you, it's not a Canon. For you, it's not a Nikon. For you, it's not for sports shooters. For you, it's too expensive. And for you, Wasim, Jared Polin - Jared Polin?! - doesn't like the sensor! Can't believe you said that. 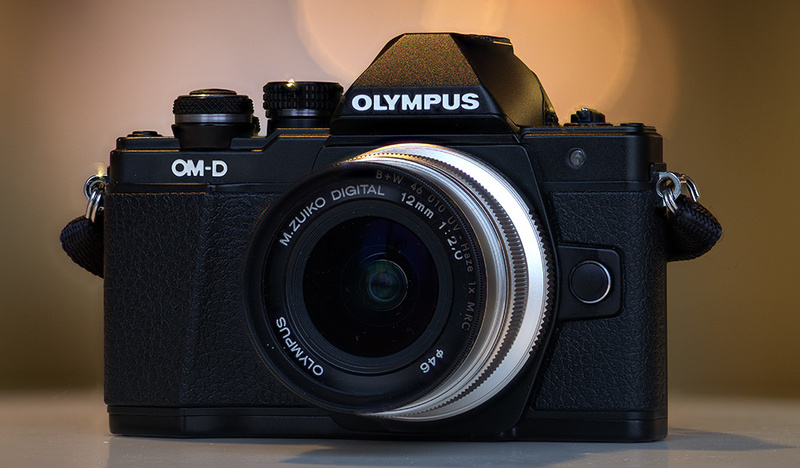 It's not any of these things you don't like about it because it's an Olympus E-M1X. That's the thing. They didn't build it for you; they didn't build it for what it wasn't. They built it for those who can see it's beauty as a fine photographic tool. That's not you, Wasim. You are blind to it. So quit poisoning the well for the rest of us. This release should have been the EM5 Mark 3. EM5 is the epitome of M43. Small, lightweight, compact, weather sealed with good, not the best, IQ. Have any of you actually held/used/played with the camera? does it matter? camera is doa. Of course, it matters? How can you truly judge without seeing for yourself? I work in the camera retail trade and we were one of the first to have it in the UK, I also had it to make an unboxing video and all the "worries" of everyone are completely unfounded. It's an excellent camera. lets not get into it. $3000, 4/3 its DOA. Don't need to wait and see. I've seen and used it. It's excellent and I'm not even an Olympus user. Thanks for the nice article, Wasim. It is clear that Olympus has decided that the way to survive in a world where everyone has a camera bundled with their phone is to go upmarket, but stay within their smaller camera niche. Makes sense. I have a first gen EM1 that I almost always reach for instead of my bulkier full frame camera. Have lots of great lenses too. Problem is that while they have been able to add all this great whizbang AI technology, the low light capabilities of their sensors have not improved appreciably over the years. The compact form of M43 is awesome, but for pro prices I want to be able to take a picture in bad light that I don't have to waste a lot of time cleaning out noise. A few years back Panasonic made a big show of developing organic sensors that we're going to blow away existing (Sony) technology. Given that Panasonic has moved on to full frame themselves (and facing an uphill battle against established players), it does not sound like they are confident in delivering clean low light images with a smaller sensor. So unlikely that I will buy the M1X. More likely that I'll end up selling my wonderful Olympus lenses and jump into the Sony bandwagon. Those Olympus lenses though ... I have a several of their primes and they are wonderful. I just wish I had bought them in black instead of silver. Seemed like a good idea at the time. Doesn't solve any problem I have with my current gear. Looks more like market bait, not a real contender. For that money, one can do much better. This is a "halo" camera to allay any concerns people that are vested in u43 format might have with the flood of FF cameras coming out including Panasonic's announcement recently. It gives a hint of what's possible in future Oly cameras and as with much else, shows Oly is going cutting edge by offering features well ahead of the market (this time its computational photography). The camera review blogosphere is going to go hard at a camera that deviates from the norm. This camera has a place in sports photography, but I think it has potential to really shine with Landscape photography. Handheld High Res is not useful for action photography, but works great for locations where tripods aren't allowed. This camera, while larger than other u43 bodies is till very small compared to its direct competition - especially when you factor in the size and weight of lenses. Imagine the savings to your back if you have a 3 mile trek backwoods to get to your location and the weight savings makes sense - you don't need to lug a tripod as you can handhold a 50mp RAW image. If you don't need to fight in the MP wars, you have the ability to handhold 10sec exposures - what other camera can do that??? Reviewers have been able to get usable images handheld for 15 or even 20 seconds! If you don't want to risk handholding that long, then the LiveND gives you a software cheat to get a similar effect. Plus you can stack the LiveND with existing ND to get even longer tripod exposures. And the stacking used for LiveND kills off any noise. On the computational photography side, people are getting hung up on the planes, trains and automobiles of the AI focus. This is just the initial release. As this is all software, people and animals are sure to come as well. Once again, this is showing us what is possible and hint at what's to come. Thanks for the links. I'll definitely have to listen to that Derrick Story podcast about this. That second link from Scott Bourne though, he was gushing a ton about the camera. Then when I got to the end of the article, he lists that he is an Olympus Visionary (one of their ambassadors) and so posts like that should be taken with a grain of salt. He really should indicate that affiliation up front, and not refer to his blog post as an "article" when it's not because of that affiliation. Sorry about the SB confusion. I thought he was well known enough that his status was a given. He switched to Olympus long before becoming a visionary. He took a short break from photography to run Skylum Software, but is now back to his passion. He is a highly regarded niche photographer of raptors and motorsports. Here's another blog post that is making waves among the Olympus community from a working South African photographer that is tired of YouTubers posting reviews after just 2 days or even a week with a camera as he believes a model as complex as this takes much longer to fully understand. He even points out a few technical errors in Fro's review: http://flightlevel42.co.za/photoblog.html#Youtographers_and_Blowtographe...! I am obviously a passionate owner of Olympus cameras. And I guess content creators would put me under the category of viewers of these commentaries seeking validation. I don't see myself that way, but I've seen articles that put audiences into different groups and this is the closest match to where I stand. I am not in a market to buy this camera. I own an e-M1 mk2 and it perfectly suits my needs as of now. 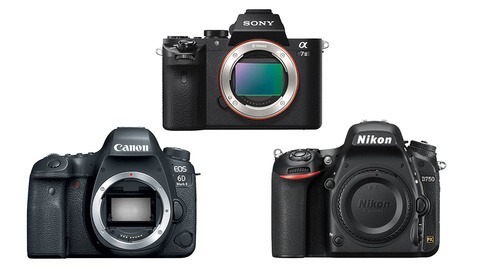 I love watching these types of releases to understand the direction of different camera manufacturers. Maybe some of these updates will trickle to my camera by firmware update, maybe not. In a couple years, when I am in the market to move into a new camera body, I will take a hard look at this camera. I don't appreciate the size compared to my current daily driver, but I like what the 2 processors enable for its owners. I use High Res often in my camera and many of the features of the X align with what I like to leverage in my image making. Why spend an hour in photoshop when it can be done in camera? The main thing for me, however, is that a camera is just a tool. What works for me, will likely be drastically different from what will work for Jared Polin. The Olympus bodies I have owned (e-620, e-M5.1 and now e-M1.2) fit my hand and my eye better than anything I've seen from other manufacturers. The menu system makes sense to me - I cannot understand how anyone can knock Olympus' menus when the SCP on the back gives me 1 touch access to 90% of the settings I use. The custom modes give me the ability to configure my camera with a twist of a dial to be ideally set up for Street, Long Exposures and Sport. I don't think any other camera achieves this vision as simply. No, my camera isn't FF. But I have printed 30x40 images with no problem. How often are people printing larger? If needed, I could always use On1 Perfect Resize. But it hasn't been called upon yet. The most important part of any camera sits 2" behind the viewfinder and these cameras get out of my way in my image making. Hey thanks for sharing the Derrick Story podcast - I took a listen and there's a bunch of good points there, at least in terms of what he says about computational imaging being the next big thing and how that's the right move here. I think the problem is that they put all of that computational imaging tech into a body with older tech and before the algorithms were fully trained, then decided to charge $3K for it. It's an odd choice to have the three options in the menu for AI-trained focus to be planes, trains and cars, when it might have been smarter to include things that people photograph more, such as dogs, cats or kids. But the real sticking point is that sensor. I've been happy with my Olympus/Panasonic gear for a long time (and I'm in agreement with you about the SCP, it's wonderful and I'd rather have all of the customization available than to be limited like other manufacturers), but the reason I haven't bought anything new from them in the last few years has been that every camera that comes out doesn't push the envelope much in terms of autofocus or image quality, which is still just a bit below most. The computational imaging tech fully baked + New (improved) sensor and autofocus would have me saying "take my money"
I certainly don't want to get into a back and forth with you ad nauseum, Wasim. But while the algorithms for the AI AF are motorsport-based, I've seen reviews where photographers were able to successfully use the "planes" mode while birding and the "auto" mode with cycling. So, don't get too hung up with the icons... We'll have to wait and see on the sensor/processor debate as stated specs seem to indicate a solid improvement on that front (I believe the context was sensitivity). I think image quality is going to be a more subjective thing. I certainly have no problem with the quality I've been able to achieve with the m1.2. If you are talking about DOF, I think Fro's argument is a bit specious. Most people aren't shooting with a paper-thin depth of field and if the m.Zuiko f2.8 gives the same depth as a FF f5.6, that fits the sweetspot for most portrait work, doesn't it? That's just using the Pro zooms, the Pro primes are f1.2 and I'd say an FF f2.4 is more than sufficient for most applications. If people are going to be a snob about it, I'd just respond that their DOF is inferior to a Pentax 645, and the arms race continues... I would certainly say image quality from the current e-M1 series is on par with anything currently available from Panasonic, cropped Fuji. Even when it comes to noise from a cropped sensor, I think the Oly grain has an appeal to it on high-ISO photography. Definitely not trying to get into a back and forth - I really appreciate your comments and insights, and the links you shared have been some very interesting reading for me (I didn't know a lot about these photographers before but now I have found another podcast to listen to and another blog to read). I hope I'm not coming off as arguing, definitely not my intent. I think for me, I don't worry about the depth of field the way Fro does - I've been shooting M43 enough for 10 years that I'm fine with it as it is. Where I really want to see improvement, and where I don't feel like I am in the system, is in low light performance. I have a D750 that I really only pull out for professional work, and if needed I can push ISO to 5000 or 6400 without any real problem. I feel like Micro 4/3 started really strong out of the gate with the Panasonic G1 (which I have) but image quality/noise performance, while better, hasn't made the strides one could hope for in that time. I actually found the focus on the G1 to be quite acceptable, so I'm less critical of autofocus performance ... unless they're charging $3K for it. In magical camera fantasy land, I'd want something like the form factor of a GM5 with a flip screen and a killer viewfinder, and that to me is where I wish things would go, but I guess we'll see what the take rate on the E-M1X is. I checked out that history of Olympus link, Edward, thanks for sharing, it was an awesome read and filled in a lot of the gaps for me. Who's it for? It's for someone who wants to shoot action with a lens that has an effective focal length of 200-800mm that doesn't require a gimbal head or induce a hernia. The XT3 is twice the camera for half the prices and it is a lot smaller... period! For 3000 you can get a d850...no contest! I do love the Fuji system and my own X-T1 (and the prices) but lenses are definitely larger than the equivalent M43 lenses. Your post raises an excellent question, is it worth buying a mirror-flipper at this point? I have a D750/D700 and I don't see them needing to be replaced any time soon, at which point will it make even less sense to go DSLR over mirrorless?